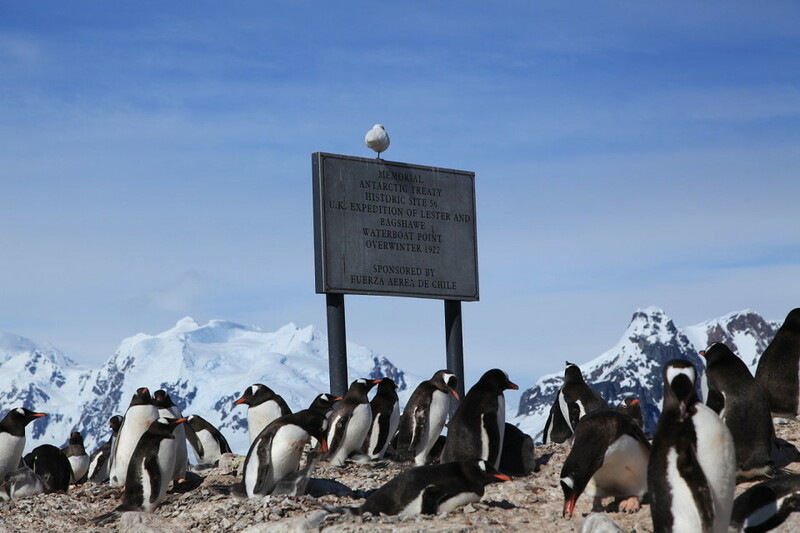 Wiki Loves Monuments will also include 85 “Historical Sites and Monuments” on Antarctica in 2013. After expanding to the world last year, we felt one continent in particular was being left out: the most southern and coldest continent on our planet. We thought it was more than fair to share a little bit about this ‘national’ competition that is special in many ways. With the support of the Secretariat of the Antarctic Treaty, Wikimedia Argentina is coordinating this local contest besides their own. However, in line with the spirit of international collaboration of the Antarctic Treaty, the contest is actually organized by Wikimedians from different countries from around the world. We’re very happy that this national competition is there, and are looking forward to pictures of the cultural heritage on this continent to be shared. The monuments include a wide range of sites. The first buildings on Antarctica are listed – two huts built by Carsten Borchgrevink in 1899 – and a number of relics of early explorers, including relics of the Scott and Amundsen expeditions. There are memorial plaques and cairns, flagpoles, and even a bust of Lenin erected in 1958. Some are simply empty spaces – there is a listing for Amundsen’s tent, “currently buried underneath the snow and ice in the vicinity of the South Pole” – and many of the plaques commemorate locations where a base has been dismantled. The monuments system began in 1972 with a list of 43 items, and has been expanded steadily since then. 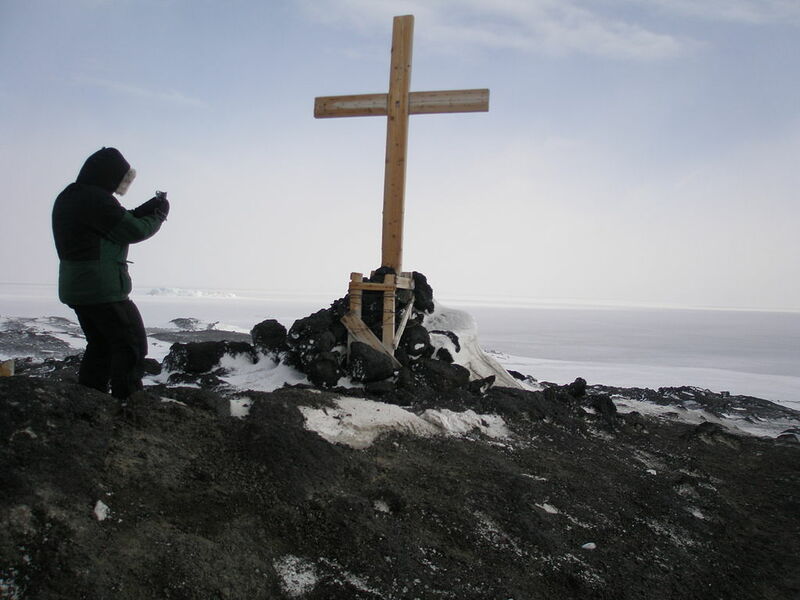 Each monument is nominated and maintained by one or more countries, but it is an international list – all entries are discussed and approved by the annual Antarctic Treaty Consultative Meetings. That the list of historic sites and monuments is never complete became very clear earlier this (southern) winter: Four more sites were approved, just in time for Wiki Loves Monuments. The newest sites are the location of the first German base, a 1980s Soviet ice drilling station, and two camp-sites from the 1912 Terra Nova expedition. The smart ones among you that looked up Antarctica on Wikipedia will perhaps realize that in September, it is pretty dark and cold in Antarctica, and it will be complicated to photograph monuments there right now. Well, that is indeed correct, and that is why we’re calling for scientists, other personnel and tourists that have visited this awesome continent in the past, and have taken photos of one or more of these historical sites and monuments. Please share them with the world through this competition! The only requirements to submitted photos are that they are submitted in September (no matter when the photos were made), that they are freely licensed (so they can be used on Wikipedia) and that the monument on the photo is identified. Do you know people that have spent time on Antarctica, and have photos they might want to share? Please point them to the official Wiki Loves Monuments Antarctica website on www.wikilovesmonuments.aq (yes, Antarctica really has its own internet domain!). As the contest kicks off, that is also the website where you will be able to find more detailed information about how to participate exactly, what prizes you can win and what the jury will be like. Excellent idea! I can’t wait to see hundred, thousands or more pictures of this somewhat forgotten continent. Thank you for the initiative, and thanks to all contributors! Really exciting. I’m proud this is being done. Thanks. I wonder why Australia is not on the list? I understand we don’t have a lot of very old historical monuments, but we definitely have some the world will be interested in. Wiki Loves Monuments is primarily being organized by groups of volunteers in the participating countries. Unfortunately there was no group of volunteers that was both able and willing to organize this contest in Australia. But there might be future opportunities in Australia with similar contests.